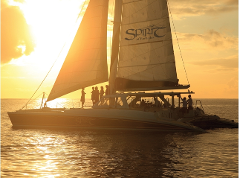 Leave all your worries behind as you cruise along the coast of our beautiful island. 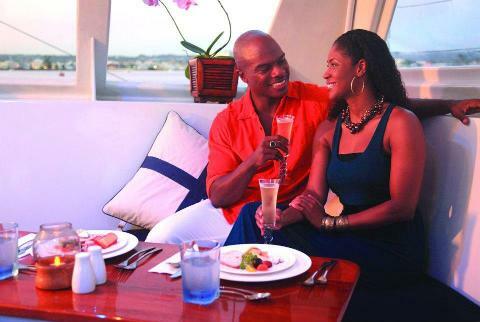 This cruise offers a unique escape – the opportunity to have a relaxing swim followed by a majestic sunset where you bear witness as the sun sinks into an orange sea. 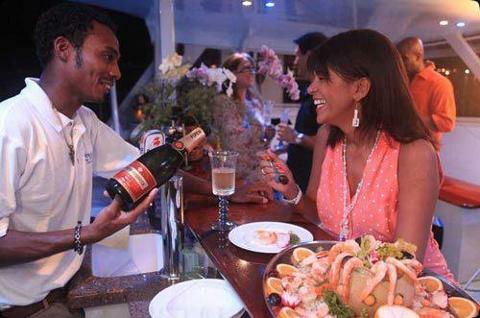 There is nothing quite like the delicious buffet dinner and premium bar. 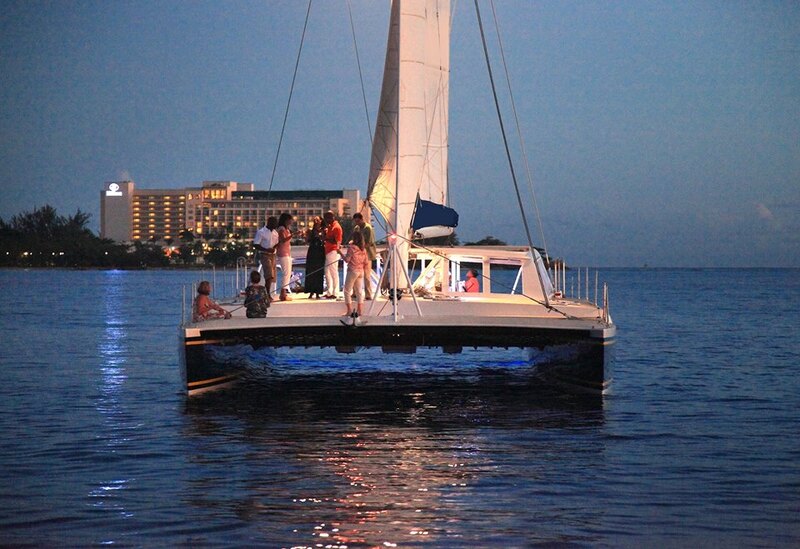 Sail and dance the night away or simply relax on the trampoline and gaze at the stars. We promise you an unforgettable evening!